Online grocery sales grew 20% during Sainsbury’s full-year trading period, boosting overall revenues for the supermarket chain. 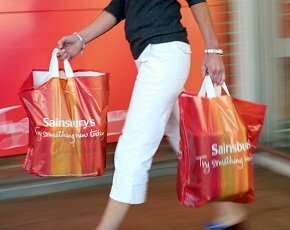 Sainsbury's sales grew 4.5% to £25.6bn for the year. John Rogers, chief financial officer, said the store’s multichannel strategy was partly responsible for its sales growth. “This performance was, in part, due to continued progress in our multi-channel strategy allowing customers to choose where, when and how they shop,” Rogers said. However, profits at the supermarket fell 1.4% to £788m for the year 2012-2013 compared to 2011-2012. The figures raise issues over the profitability of online grocery shopping, with rivals such as Morrisons having notably avoided the channel. David Gray, analyst at Planet Retail, said: “Online grocery is not really profitable, as each delivery costs about £15 to deliver on average but only gets £5 pounds back.” However, he said it should be viewed as part of the whole shopping experience, with the danger that supermarkets would lose custom elsewhere if they didn't offer an online grocery delivery service. Sainsbury’s had growth of around 20% more than rivals, with Tesco closer to 15%, as the company was coming from a lower base, he added. The company said in a statement. “Our established multichannel strategy continues to enable customers to shop where, when and how they want. Annual grocery online sales are almost £1bn and convenience store sales are now over £1.5bn," it said. “Our long-standing investment in complementary channels and services continues to deliver. The amount customers spend more than doubles when they shop in our supermarkets, convenience stores and online." This year the retailer trialled a ‟Mobile Scan & Go" technology in three stores, which allows customers to track how much they are spending as they shop and view savings instantly on their mobile phone. The store also moved into the digital entertainment market with the purchase of a majority stake in Anobii, now operating as eBooks by Sainsbury's, and a partnership with Rovi Corporation, an on-demand video streaming service.